There are some traits you’ll want to look for when hiring a roofing contractor in Lake Oswego. It would be great if all roofing contractors were created equally. You’d only have to concern yourself with scheduling, but this isn’t the case. When it comes to your home, business, or construction project you want to know your’re getting the highest quality. With Pioneer Roofers you always will. We’ve been keeping residents in Lake Oswego protected with the area’s best roofs for over 20 years, but our stellar reputation wasn’t built overnight. As a roofing contractor in Lake Oswego, doing right by our customers has been and remains our highest priority. That means accurate assessments, fair pricing, and consistency throughout. Performing a great job on 90% of a roof doesn’t mean a thing if the other 10% won’t hold up. That’s why we use a system honed over decades to ensure our quality is always at its peak. Skilled Roofers – It all begins with the hiring process. As a full service roofing contractor in Lake Oswego, we look for skill, experience, and consistency. Our roofers are trained in roof repair, replacement, and installation. We vet them for work quality to ensure that our staff is comprised of focused, reliable roofers that take pride in every job. We don’t build roofs for right now, we build roofs that are made to last. Industry Experience – With the volatile weather present in the Northwest, roofing doesn’t always go according to plan. Experience creates adaptability, and as your roofing contractor in Lake Oswego we’re prepared to handle any situation. We’ve worked extensively with businesses and homes, and know how to design and build a roof that meets or exceeds building codes. Our assessments are accurate and our pricing is affordable while our quality of work remains high. 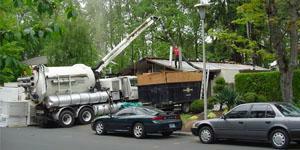 Quality Materials – Some roofing contractors in Lake Oswego cut corners during material acquisition. No matter how strong a roofing contractors’ work is, if the materials aren’t designed to last it won’t amount to much. We use high-grade materials from trusted manufacturers. Not only do these reflect the quality of our craftsmanship, they carry longer warranties, and last longer than cheaper counterparts. 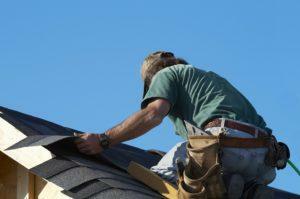 Why get a Roofing Contractor? When preparing to buy, replace, or install a roof it can be easy to look at cost alone. That doesn’t reflect the reality of construction. When you attempt to sub-contract yourself there is no guarantee of workmanship or accountability. Without a foreman work may be delayed at a moments notice, and you won’t know why. Quality can quickly go as well. If you don’t have knowledge regarding proper construction techniques, how will you know if your workers are doing the job correctly? Without insurance you’ll also be responsible for any on-site accidents. Just one slip can easily cost the price of your entire roof, leaving you in a precarious financial state. Don’t risk your property, your finances, and your future. Get a roofing contractor in Lake Oswego for all your roofing needs. When you want a legacy of quality, reliability, and craftsmanship from your roofing contractor in Lake Oswego, call (503) 281-0305 or Contact Us today.